El stop: Brown to Damen; Red to Lawrence. Bus: 22, 50, 81. 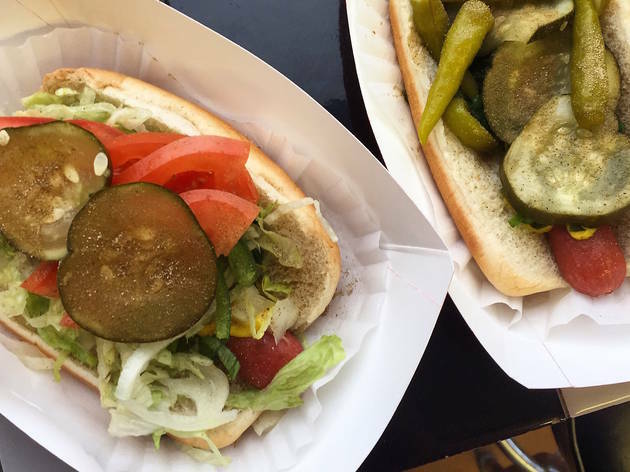 Excellent spot for you to grab a quick and delicious Chicago Dog. The staff is friendly and the food is amazing. You can't go wrong taking anyone to this hidden gem in Lakeview. Its a no frills hot spot. The service is good, but the food makes it great. 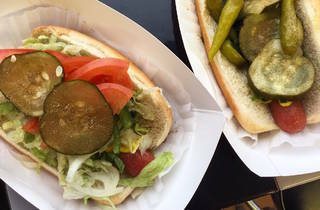 If you crave a comparable Chicago style hot dog bar close to home, Byron's is the place to go. Want a good burger joint burger? Want it made by funny, friendly people? Get it here.